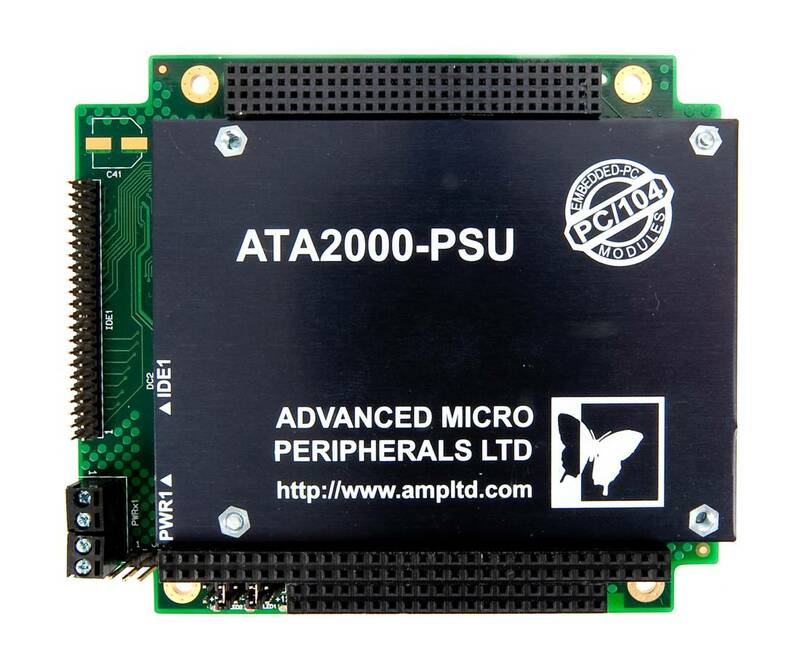 The ATA2000-PSU is a versatile PC/104-Plus power supply unit with additional support for a secondard IDE/ATA controller. The ATA2000-PSU accepts a DC input voltage from +8V to 30V and provides +5V, +12V, -12V power to the PC/104 and PC/104-Plus bus. The ATA2000-PSU includes reverse voltage input protection and transient voltage protection and provides stable DC voltages to the PC/104+ system. The wide input voltage range of the PSMU1000 allows PC/104+ systems to be powered from a wide variety of DC voltage sources including battery systems in cars, trucks and for marine and airborne applications. The secondary IDE/ATA controller provides a convenient way to add a Type II CompactFlash card or hard disk drive to the embedded system.